Julie first spoke in Wootton in November last year when her theme was the 1924 British Everest Expedition, which included George Mallory and her great-uncle, Sandy Irvine. 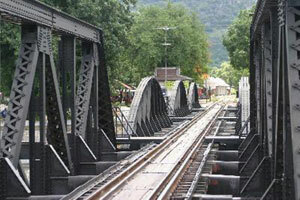 On November 13th this year, she focused on another illustrious member of her family – her grandfather, Lieutenant-Colonel Philip Toosey, who was the senior Allied officer in charge during the Second World War at the Japanese prisoner of war camp at Tamarkan, in Thailand, from where the men helped build the notorious Bridge on the River Kwai. In civilian life, Toosey was a merchant banker on Merseyside but, after the outbreak of war, found himself in the Far East. Following the fall of Singapore in 1942 – the biggest military defeat in British history – Toosey refused to join the evacuation and insisted on staying with his men. They were put to work building railway bridges over the Khwae Yai, near where it joins the Khwae Nai to form the Mae Klong, in Thailand. 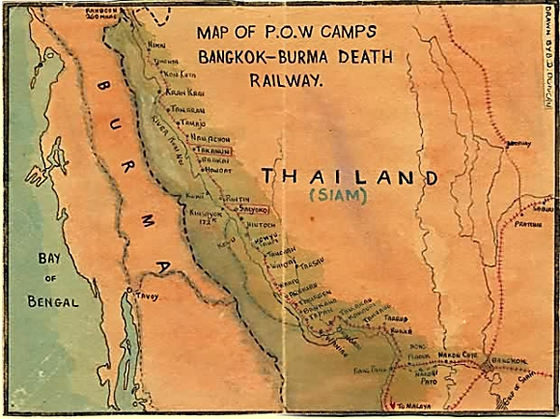 This was part of a project to link existing Thai and Burmese railway lines to create a route from Bangkok to Rangoon to support the Japanese occupation of Burma. About a hundred thousand conscripted Asian labourers and 12,000 prisoners of war died on the whole project, which was known as the Death Railway. However, Julie pointed out there were enormous differences between the Hollywood film, Bridge on the River Kwai, featuring the fictitious Colonel Nicholson, played in an Oscar-winning performance by Alec Guinness, and the real story. 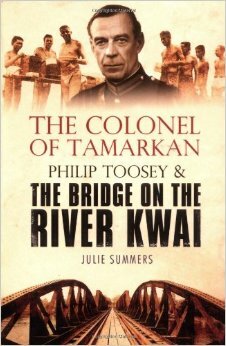 The irony was that, in the film, Colonel Nicholson had to help the Japanese build their bridge, whereas in reality the Japanese were skilled engineers and the main role of Toosey was to ensure that the men under his command suffered as little as possible. At the Tamarkan camp, Julie said that Toosey worked courageously to ensure that as many as possible of the 2,000 Allied prisoners would survive. He endured regular beatings when he complained of the ill-treatment of prisoners, but as a skilled negotiator he was able to win many concessions from the Japanese by convincing them that this would speed the completion of the work. Toosey also organised the smuggling in of food and medicine and worked with Boonpong Sirivejjabhandu, a Thai merchant who supplied camps at the southern end of the railway, taking great risks - and he was honoured after the war for his bravery. Toosey maintained discipline in the camp and, where possible, cleanliness and hygiene. His policy was one of unity and equality and so refused to allow a separate officers' mess or accommodation – and he also ordered his officers to intervene, if necessary, to protect the men. Behind the backs of the Japanese, Toosey did his best to delay and sabotage the construction without endangering his men, as a refusal to work would have meant instant execution. Termites were collected in large numbers to eat the wooden structures and the concrete was badly mixed. Toosey also helped organise a daring escape, at considerable cost to himself (in the film the fictional colonel forbids escapes.) The two escaping officers had been given a month's rations and Toosey concealed their escape for 48 hours. After a month, the two escapees were recaptured and bayoneted, whilst Toosey was also punished for concealing the escape. Julie added that the Japanese surprised their enemies by completing the railway within 16 months, albeit at vast human cost - British Army engineers had estimated five years. Two bridges were built - a temporary wooden bridge and, a few months later, a permanent steel and concrete bridge, which was completed in 1943. 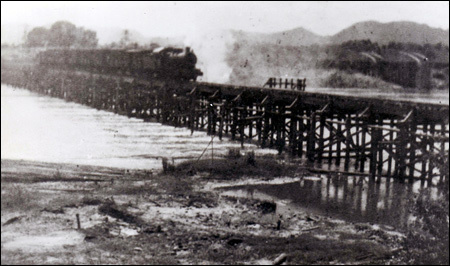 At the end of the Hollywood film, the wooden bridge is destroyed by a commando raid when, in reality, both bridges were used for two years until they were both destroyed by Allied aerial bombing – firstly, the steel bridge, bombed in June 1945 following several previous missions. This steel and concrete structure was later repaired and is still in use today. After completion of the steel bridge, the majority of fit men were moved to camps further up the line. Toosey was ordered to organise Tamarkan as a hospital, which he did so, despite difficulties, including minimal food and medical supplies. Julie said that the Japanese considered it the best-run prisoner-of-war camp on the railway and gave him considerable autonomy. In December 1943, Toosey was transferred to help run Nong Pladuk camp, and, in December 1944, he was moved to the Allied officers' camp at Kanchanaburi where he was the liaison officer with the Japanese. He and some other officers had been separated from his men at Nakhon Nayok camp and he was being held there as a hostage when Japan surrendered in August 1945. At that time, Toosey weighed 105 pounds - before the war, he had weighed 175 pounds. Despite his weak condition, Toosey insisted on travelling 300 miles into the jungle to oversee the liberation of his men. For his conduct in the camp, Julie said, he won the undying respect of his men and he was considered by many to be the outstanding British officer on the railway. At the end of the war, Toosey had saved the life of Sergeant-Major Saito (not a colonel, as in the film). Saito was second in command at the camp and was considered to be less violent than many of the other guards. Toosey spoke up for him and, as a result, Saito did not stand trial. Over 200 Japanese were hanged for their crimes and many more served long-prison sentences. Saito respected Toosey greatly and they corresponded after the war. Julie said that Sarto had said that Toosey had showed him me what a human being should be - and he changed the philosophy of my life. After Toosey died, Saito travelled from Japan to visit the grave and, following Saito's death in 1990, his family discovered he had converted to Christianity..
Over 100 people attended Julie’s talk. 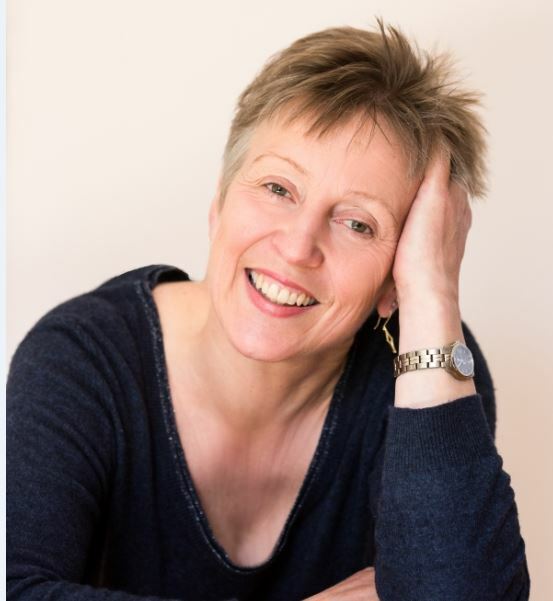 and she also sold many copies of her book, The Colonel of Tamarkan, and an award-winning audio-version, as well as Jambusters, which chronicles the WI during the Second War – and which was the inspiration for the ITV drama, Home Fires, recently commissioned for a second series.